Getting a new house is a very exciting time, and as it will most likely be the biggest asset in your life, you need to make sure you keep it, and its contents, as safe and secure as possible. 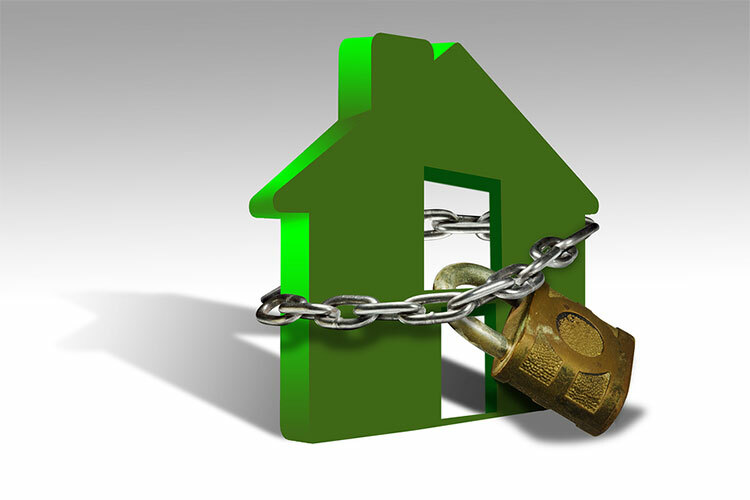 The best way to keep your house secure is to think like a burglar. Walk around the outside of your house and find any potential entry points. Pay attention to all your doors and windows, and consider any options that could make them more secure. During burglaries, a third of thieves actually get in through an open door or window, without having to force entry at all. Conservatory, patio, and back doors are also often forgotten and not always locked when people leave the house. When you move into a new house, you are essentially given the previous owners’ keys. A study found that new homeowners are twice as likely to be burgled within the first year of living in their new house. It’s a good idea to get your locks changed when you move into a new house, as you don’t know how many people the previous owners may have given spare keys to. Once you have new locks, be wary about who gets a spare key from you, and only give one to people you completely trust. The best time for a thief to break into your house is when it’s dark. It’s easier for them to hide and sneak into a home without being seen. Lighting is a big part of keeping your house secure, as no burglar likes to be put under the spotlight. Make sure you have enough exterior lights installed on the outside of your property and set up a sensor so they turn on when movement is detected. It’s also a good idea to set some of your indoor lights on a timer, so they come on even when you aren’t in the house now and again. Simple security measures can actually be some of the best ways to keep your home safe. Padlocks, window bars, and grates can all be a great way to keep your home or any outbuildings, like a garage or shed, safe from intruders. Anything that makes a burglar’s job harder, like a closed gate or lit up garden, will likely deter them and keep your home safe and sound. Any obviously laid back approaches to security will only encourage burglars to break into your home, especially if they see an open door or window. When you get round to decorating your new home, consider the best place to put any valuables you may have. You don’t want to put anything precious within view of a window, as that will only entice burglars if they can see what’s on offer. Keep your jewellery safely tucked away in your bedroom or keep really precious items locked in a safe. Never leave keys in a bowl next to the front door, as that is just inviting a burglar to break in or steal your car.